Summary (from the inside flap of the book): A gang of thieves stage a daring heist from a vault deep below Princeton University's Firestone Library. Their loot is priceless, impossible to resist. 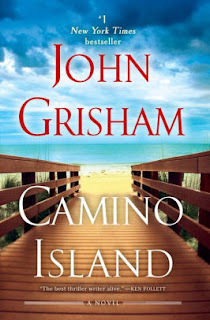 Bruce Cable owns a popular bookstore in the sleepy resort town of Santa Rosa on Camino Island in Florida. He makes his real money, though, as a prominent dealer in rare books. Very few people know that he occasionally dabble in unsavory ventures. But soon Mercer learns far too much, and there's trouble in paradise. 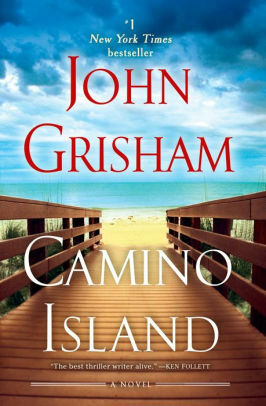 Review: Oh my goodness, it's a John Grisham that isn't about lawyers, murder, or embezzlement! This one is about writers, precious manuscripts, and deception and was a fun read. The world of independent bookshops, holiday towns, and close knit friend groups is a great setting for a story. Adding in stolen F. Scott Fitzgerald manuscripts is just an added bonus. I liked the characters and the story and until the end I wasn't totally sure where the manuscripts were and what would happen to them so that is good. There some romance, lots of book and writing talk, some FBI work, and a bunch of intrigue. What more could we want from a summer read? !